Wowee! these are awesome. Even more awesome is the photo story of how they were made! 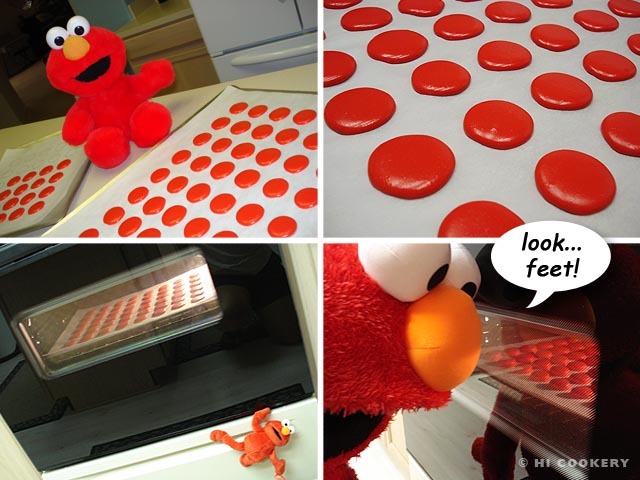 Love the picture of elmo watching them bake in the oven! OMG these are the cutest macarons ever! 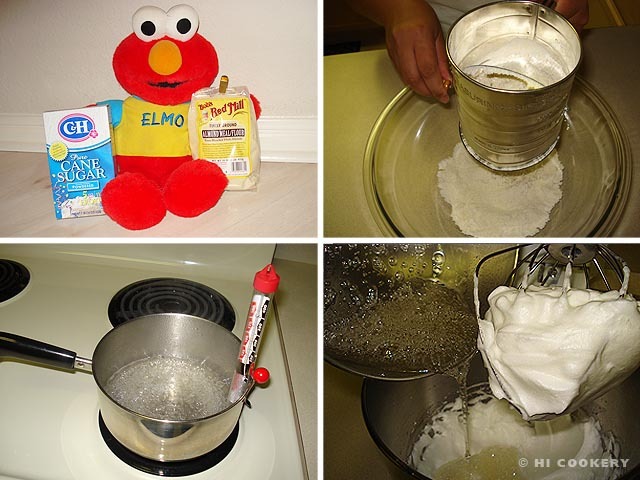 And I love the photo of Elmo looking for feet, great job on your post, love it! 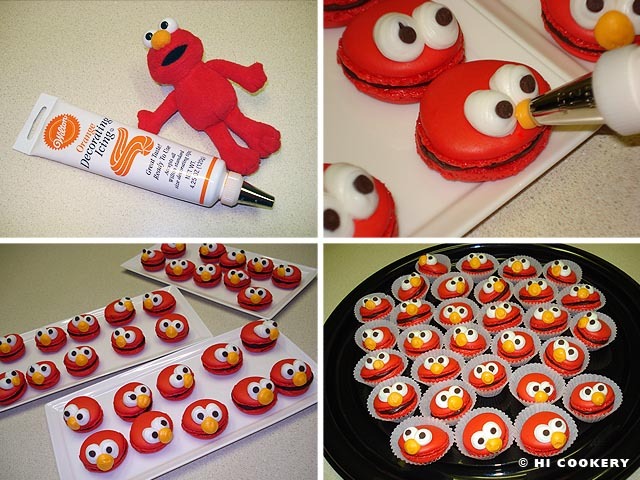 Oh my gosh – these are genius! They make me want to be a kid again! These are so cute! 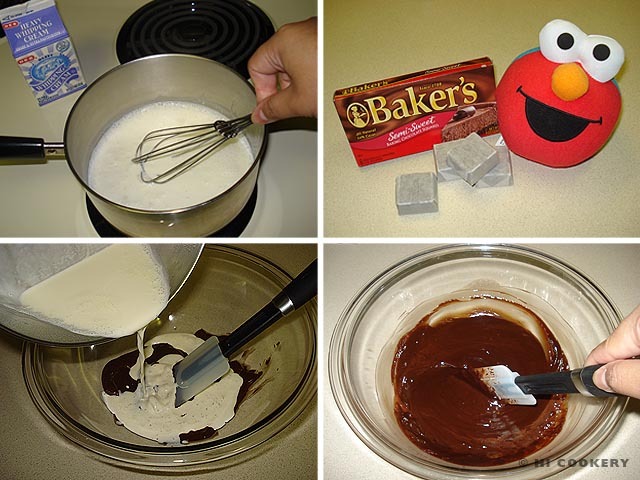 I wanna try and make them for my sons birthday. How far in advance can you make them and have them still fresh? Hi, Kim! I make macarons a week in advance of an event, in case they don’t turn out. 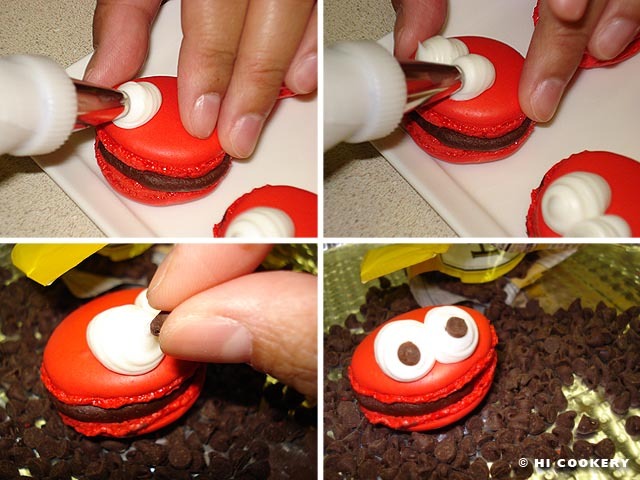 Make the macarons and filling separately, then assemble them a day or two before to keep them fresh. Happy birthday to your son! Thanks for visiting our blog. How do you store them? Do you keep them in an air tight container in the freezer or the fridge?! “Refrigerate the macarons to set. Bring to room temperature before serving.” We do store them in an airtight container. 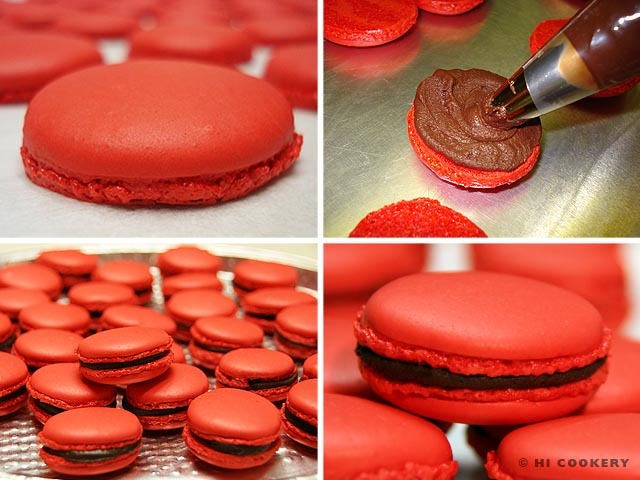 Refrigerating the macarons helps the filling to adhere and set. 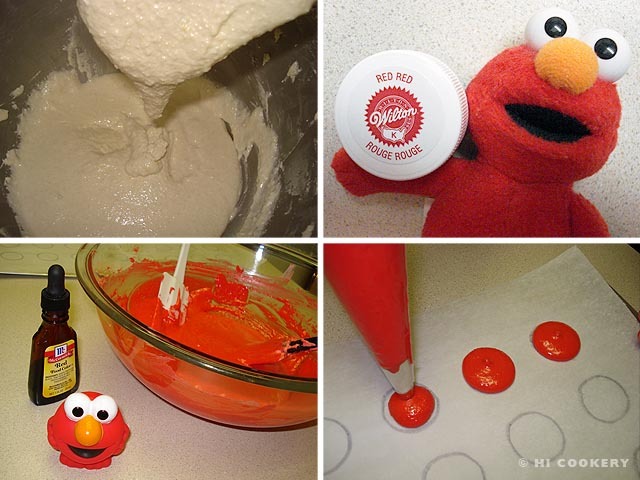 Hope your Elmo macarons turned out well for your son’s birthday party.